Why buy a single game when you can get 60? 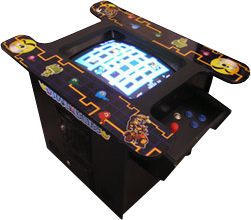 Our cool retro Table Top comes with 60 classic games like Pacman, Space Invaders and Donkey Kong. This is sure to become a favourite and look awesome in your family room or bar.